So, sometime this year, we will be packing up our house in Arlington, VA (pop about 225,000) and moving to the small town of Forest Home, AL (pop about 1,000). That means I will not have access to my supplies, maybe for quite some time. So, I decided to create a year’s worth of cards (mostly birthday) while I still had all my stuff available. Yep, that’s a lot of cards. More than 50 completed. 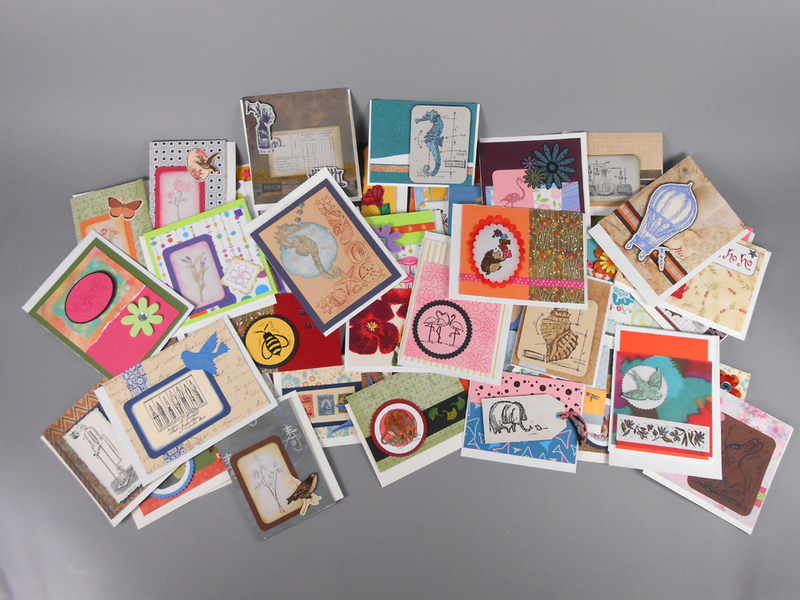 Most of the time I make cards, I chose the stamps/papers based on who will be receiving the card. I did some of that, but this time I also chose stamps or stamp sets to play with. I’ll show you some of my favorites over the next few posts. 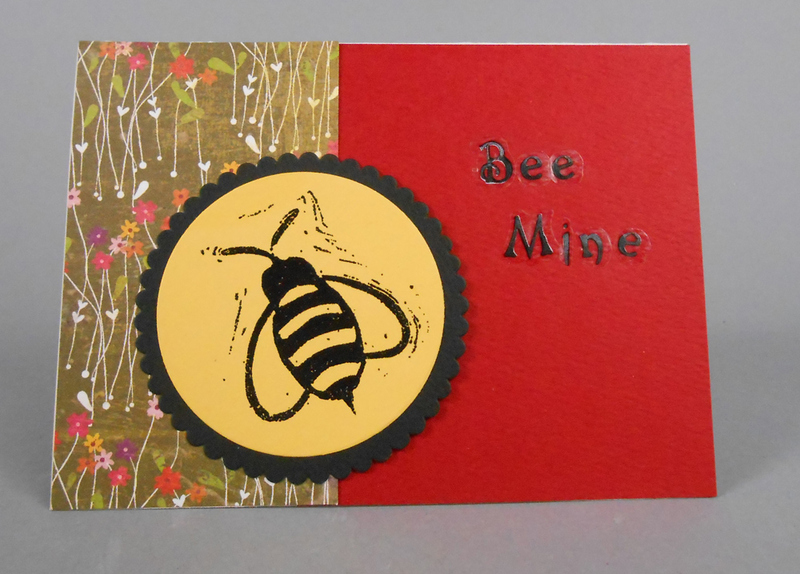 A Valentine’s Day card for my husband, who is a bee keeper. 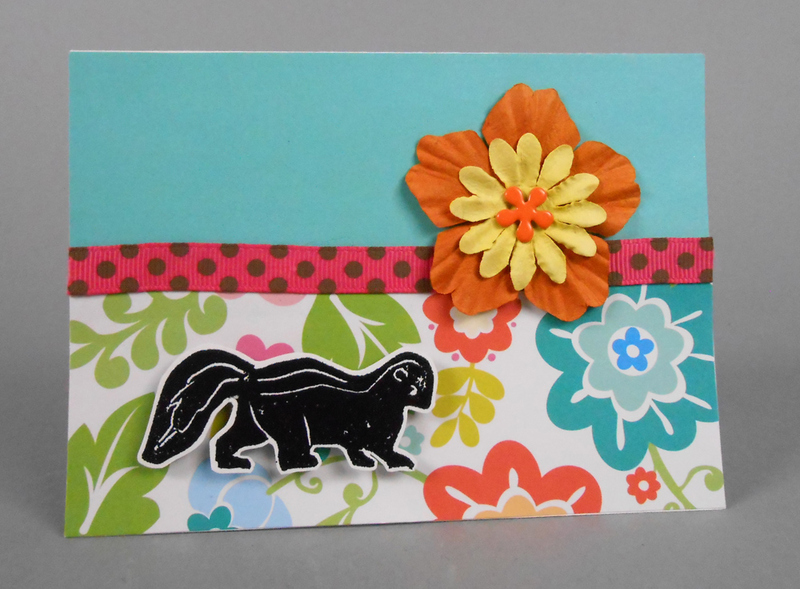 My mom, who likes skunks, will get this for Mother’s Day. 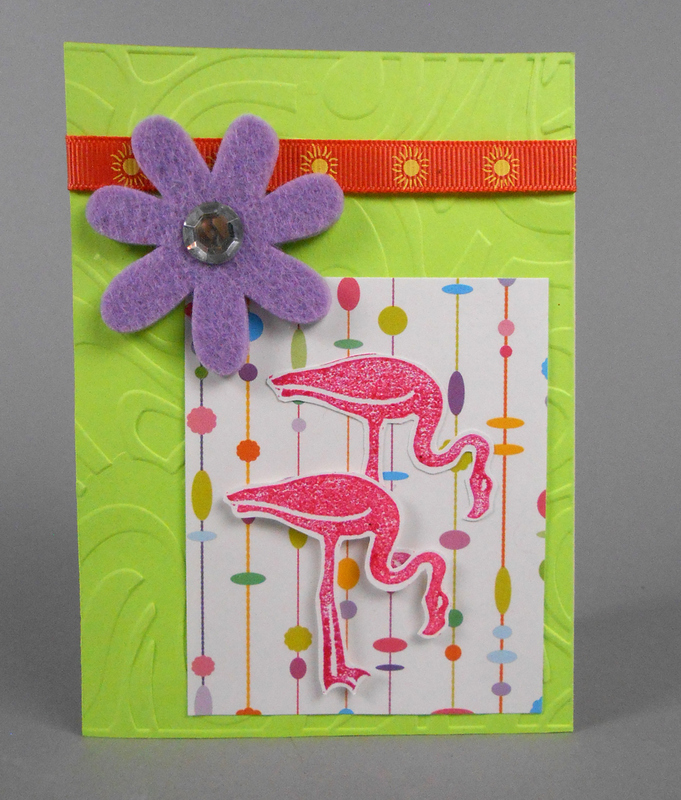 My favorite bird, the flamingo, is double stamped onto this card. I think Susan did an excellent job on the stamps. I don’t think she’s selling them yet, but maybe she will in the future. In the meantime, I have some great additions to my stamp stash. Wow. I love ❤️ this idea. Both you and your sister Susan are so talented.